RASC Prince George | Our aim is the sky, our pursuits are out of this world. The observatory has entered the systems maintenance and upgrade phase. Public Open Houses will resume in August. Welcome to the Royal Astronomical Society of Canada Prince George Centre. 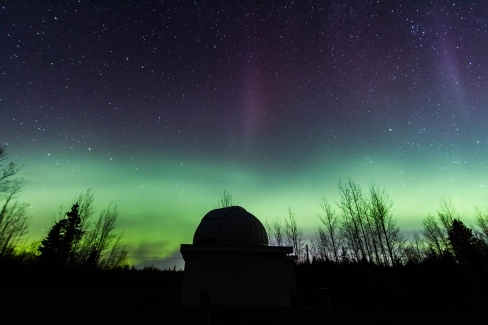 We are a nonprofit organisation, operating and maintaining the observatory with volunteers dedicated to the advancement of astronomy and science in Prince George and the neighbouring Northern Canadian communities. If you have come to this page looking for the Prince George Astronomical Society, don’t worry! you are at the right place. The PGAS has joined the Royal Astronomical Society of Canada and we now have a new name. Please take some time and browse our pages to learn what our club is all about. If you have any questions please contact our society president Dayton Pollard or call us at (250) 964-3600.